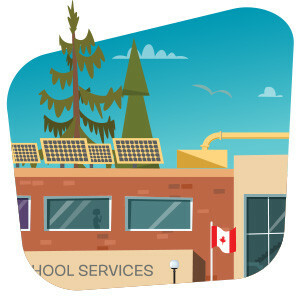 CLASS Shared School Services Chatham-Kent | Join us in Waste Reduction Week! Join us in Waste Reduction Week! Waste reduction week in Canada is quickly approaching and our member boards want YOU to participate as well. This national initiative focuses on the principles of a circular economy, resource efficiency and of course, waste reduction. CLASS encourages these environmental efforts in and outside of our schools. Each day throughout the week promotes a different waste reduction strategy, giving community members varying ways to join in. Participating schools are eligible for monetary prizes based on their collection and community engagement efforts – great incentive to get our member schools involved. Save the date for Waste Reduction Week, happening October 15 – 21.